West Azerbaijan Province is one of the 31 provinces of Iran. It is in the northwest of the country, bordering Turkey, Iraq and Azerbaijan's Nakhchivan Autonomous Republic, as well as the provinces of East Azerbaijan, Zanjan and Kurdistan. 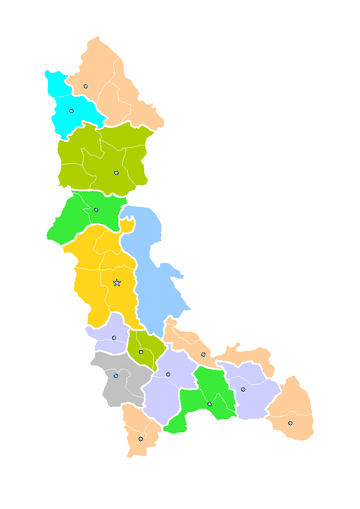 The province is part of Region 3. It is separated from Armenia by Turkey's short border with the Azerbaijan Republic. 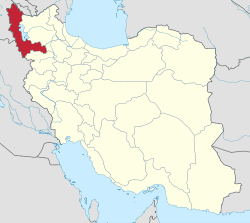 The province of West Azerbaijan covers an area of 39,487 km², or 43,660 km² including Lake Urmia. In 2012 the province had a population of about 3 million (estimate). The capital city and largest city of the province is Urmia. Permanent settlements were established in the province as early as the 6th millennium BC as excavation at sites such as Teppe Hasanlu establish. In Hasanlu, a famous Golden Vase was found in 1958. The province is the location of Tepe Hajji Firuz, site of some of the world's earliest evidence of wine production. Gooy Teppe is another significant site, where a metal plaque dating from 800 BC was found that depicts a scene from the Epic of Gilgamesh. Ruins such as these and the UNESCO world heritage site at the Sassanid compound of Takht-i-Suleiman illustrate the strategic importance and tumultuous history of the province through the millennia. Overall, the province enjoys a wealth of historical attractions, with 169 sites registered by the Cultural Heritage Organization of Iran. The major known ancient civilization in the region was that of Mannaeans, a buffer state between Urartian and Assyrian sphere of influence. Mannaeans in turn spoke a language related to Urartian. After the fall of Assyria, the region was known as Mantiene (or Matiene) in Greek sources. Matiene bordered on Atropatene situated east of Lake Urmia. The region is known as Vaspurakan and Nor Shirakan in Armenian history and made up an important part of historical Armenia, functioning as one of the cradle's of Armenian civilisation. On 26 May 451 AD, a very important battle was fought that would prove pivotal in Armenian history. On the Avarayr Plain, at what is modern-day Churs in the West Azerbaijan Province, the Armenian army under Vardan Mamikonian clashed with the Sassanid one. Although the Persians were victorious on the battlefield itself, the battle proved to be a major strategic victory for Armenians, as Avarayr paved the way to the Nvarsak Treaty (484 AD), which affirmed Armenia's right to practice Christianity freely. In the late 4th century AD the Sassanids incorporated the area into the neighbouring Adhurpadagan satrapy to the east. The name Adhurpadagan, later Arabicized to Azerbaijan, derives from Atropates, an Iranian satrap of Media under the Achaemenid empire, who later was reinstated as the satrap of Media under Alexander of Macedonia. At 7th century this area was under Islamic rule. After Babak Khorramdin revolted, the grip of the Abbasid caliphate weakened, allowing some native dynasties to rise. By the first half of the 11th century the Byzantine emperors were actively trying to round off their eastern territories, in an attempt to absorb the unstable Armenian dynasties. In 1021-1022 emperor Basil II led his army as far as Khoy within 175 km of Dvin, and obtained the surrender of royalty from the Artsruni dynasty of Van. The Seljuk Turkic tribes, who were initially resisted by the local Hadhabani Kurds, eventually conquered the region in the 11th and early 12th centuries. During Timurid rule in the 14th century, Khoy gained an important role in all over the region. After Hadhabanis, three other Kurdish principalities, Mukriyans in southern part, Bradosti in the middle and Donboli in the northern part ruled the region for centuries, who temporarily sided with either the Ottomans or Safavids. 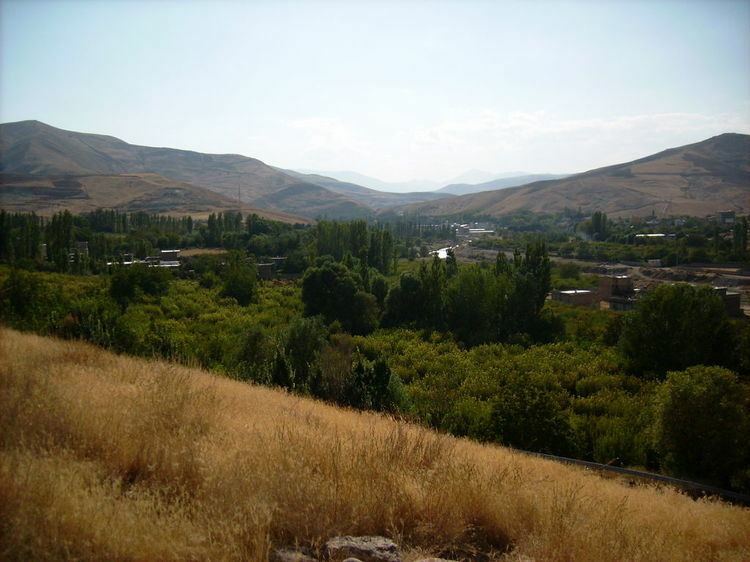 The battle of DimDim between the Safavids and local Bradosti Kurds took place in this region. After a long and bloody siege led by the Safavid grand vizier Hatem Beg, which lasted from November 1609 to the summer of 1610, the Castle of Dimdim was captured. All the defenders were killed and Shah Abbas I ordered a general massacre in Bradost and Mukriyan (reported by Eskandar Beg, Safavid historian in the book Alam Aray-e Abbasi) and resettled the Afshar tribe in the region while deporting many Kurdish tribes to Khorasan region, where many of their descendants still reside of as of today. The Safavid control was firmly restored by Shah Abbas but during the Afghan invasion (1722–1728) more than a century later, the Ottomans captured the northwestern regions of Iran, until Nadir Shah expelled them and reasserted Iranian suzerainty over the region and far beyond. The Russian (Tsarist) army occupied the region in 1909, and again in 1912–1914 and 1915–1918 period. The Ottomans occupied the region in 1914–1915 and 1918–1919 periods. The Soviet forces occupied the region in 1941, resulting in establishment of a short-lived, Soviet-supported puppet state called the Republic of Mahabad, from November 1945 to November 1946. 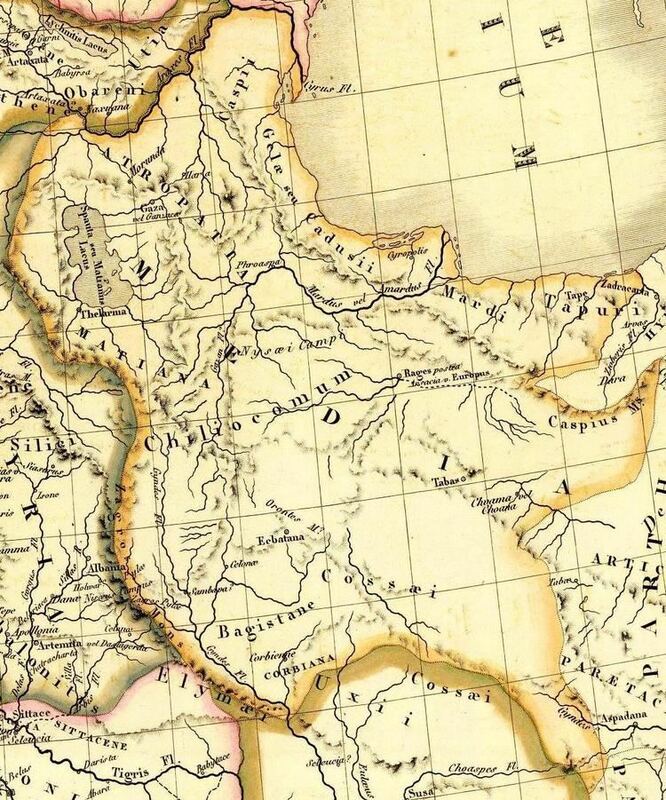 The districts of Mākū , Ḵoy, Salmās, and Arasbārān, and the region of Urmia, according to 19th century administrative division became a part of the northwestern Iranian province of Azerbaijan. In 1937 the province was renamed to Shomal-e gharb (northwestern province) Shortly after it the province of Azerbaijan was divided into a western and eastern part which were renamed to Chaharom (fourth province) and sevom (third province), respectively. In 1961 Fourth province was renamed West Azerbaijan by the Iranian authorities. Periodic severe fighting from 1979 until the 1990s near to boundaries of Iraq-Iran between Kurdish militia belonging to Kurdish political parties and the Iranian government. During the early 1980s parts of the province were outside central government's control. With an area of 43,660 square kilometers, including Lake Urmia, the province of West Azerbaijan is located on the northwest of Iran. The climate of the province is largely influenced by the rainy winds of the Atlantic Ocean and Mediterranean. Cold northern winds affect the province during winter and cause heavy snow. According to meteorological data, local temperatures vary within the province. Average temperature differs from 9.4 °C in Maku to 11.6 °C in Tekab, while it is 9.8 °C in Urmia, 10.8 °C in Khoy, 9.4 °C in Maku 11.6 °C. According to same data, the highest temperature in the province reaches 34 °C in July, and the lowest temperature is –16 °C in January. Maximum change of temperature in summer is 4 °C and in winter 15 °C. 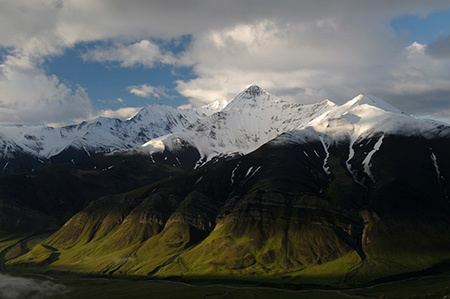 Average annual precipitation ranges from 870 millimetres (34 in) of rainfall equivalent in exposed southern areas down to around 300 millimetres (12 in) in Maku in the north, of which a substantial proportion is snow. There are no official statistics or census figures on the ethnic makeup of Iran. Most of the population in West Azerbaijan Province are Azerbaijanis and Kurds. There are three other ethnic and religious groups who are native to the province and have minority status: Armenians, Assyrians, and Jews. There are also Kurdish immigrants from neighbor province in some southern cities of the province. 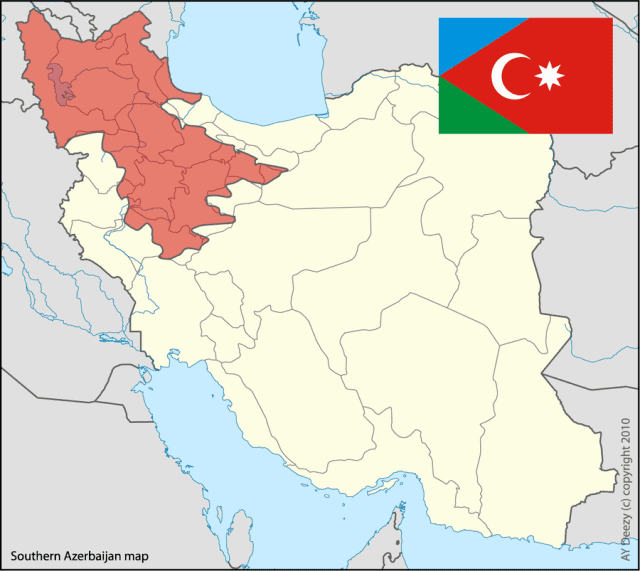 The majority population of West Azerbaijan are Azerbaijanis with 76.2 percent of the population and Kurds with 21.7% percent respectively Azerbaijanis live mostly in Chaldoran, Maku, Khoy, Salmas, Urmia, Naghadeh, Miandoab, Shahindej and Takab counties and Kurds inhabit mostly Oshnaviyeh, Sardasht, Mahabad, Piranshahr and Bukan counties. The majority of people are Muslims but also diversity of religions in the province has been a major factor throughout the history of the province. The religions in the province are Shia and Sunni Islam, Christianity, Judaism, and Yarasani. Both Azerbaijanis and Kurds follow Islam, the Azerbaijanis belonging mainly to Shias and the Kurds being of the Sunni branch, nonetheless there are also Sunni Azeris in some parts of the province. The small minority who follow Yarasani (or Ahl-e Haqq, اهل حق) are in decline. The remaining Armenians and Assyrians are Christians. Some of the most ancient Armenian churches in the world are located within West Azerbaijan Province, such as the St. Thaddeus Monastery and the Chapel of Dzordzor. The Jews in the province follow Judaism. There were also Bahais and Zoroastrians in the province, although no recent statistics are available. Some Muslim researchers have proclaimed that the birth of the prophet Zoroaster was in this area, in the vicinity of Lake Orumieh, Chichesht or Ganzak; recent scholarship, however, indicates that sites in Central Asia are more likely. In this province, Islam (Shiite and Sunni) is the majority religion. However, there is also a large Assyrians Christian minority, who have historically lived on the west shore of Lake Urmia. The city of Urmia has a higher standard of living in comparison with the other cities of the province. There are plenty of parks, coffee shops, cinemas, and internet cafes throughout. There are hundreds of small villages in the province, most of which have running water and electricity as well as television, satellite, and telephone lines. Southern cities which economically are considered poor areas have always been the venue of Kurdish demonstrators against the Islamic regime. 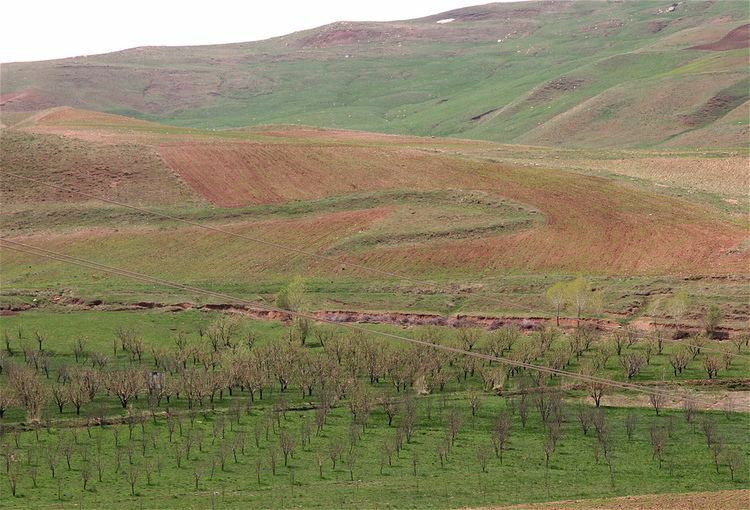 West Azerbaijan Province is one of the most important provinces for Iran's agriculture. Choose from Azerbaijan, Ray, and Gorgan. "There they lie in peace away from their homeland, and the testimonial epitaphs on their tombs signify their endeavor and devotion to humanity."